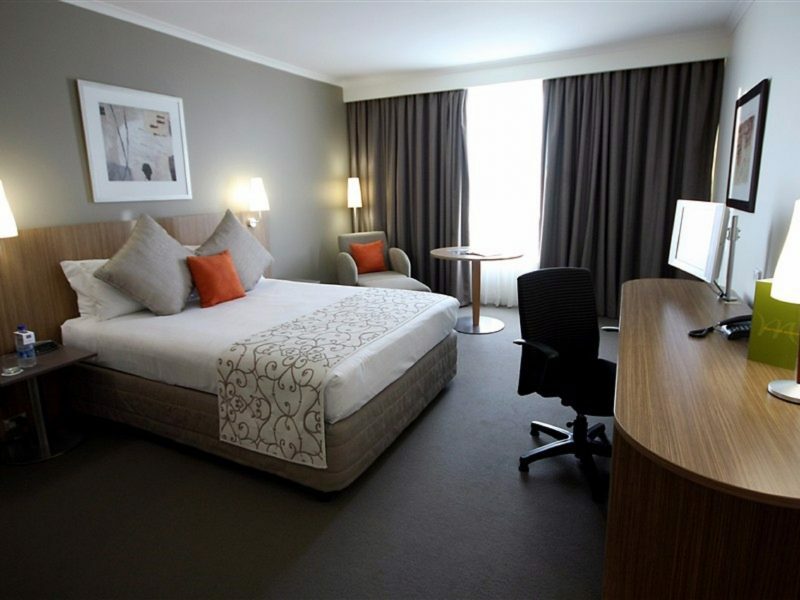 Mercure Sydney Parramatta accommodation is spacious and comfortable, offering a quiet space to enjoy after a full day of sights, sport or seminars. 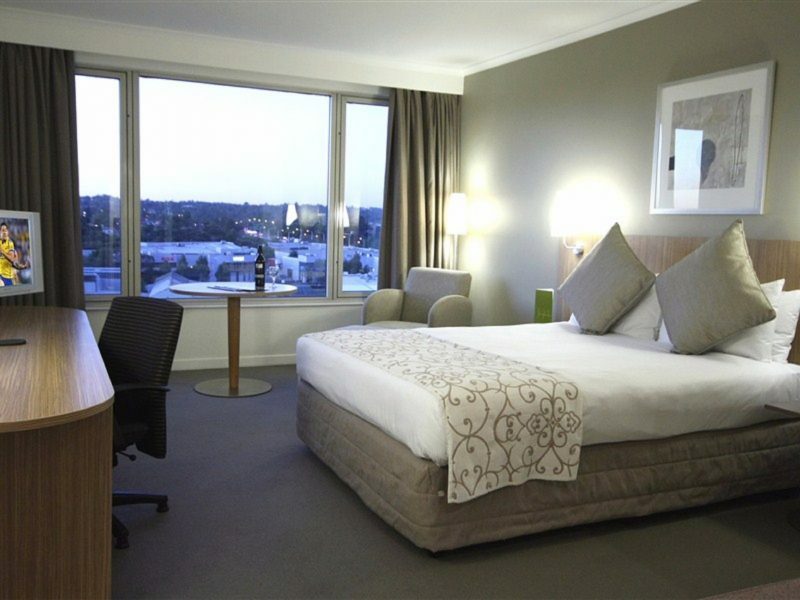 Leading accommodation features for business, boutique conference or leisure. 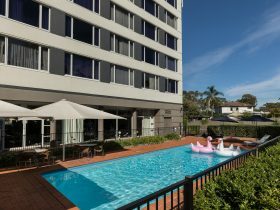 This hotel is just minutes to four premier shopping and factory outlet centres, close to Olympic Park and Rosehill Gardens Racecourse. 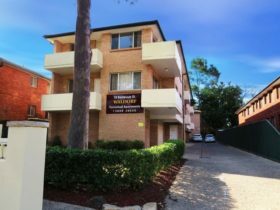 An easy drive to the city or perhaps a leisurely trip on the nearby RiverCat along the lovely Parramatta River to Circular Quay. 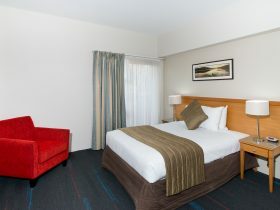 The Standard Room offers spacious accommodation with either one queen bed or two double beds. 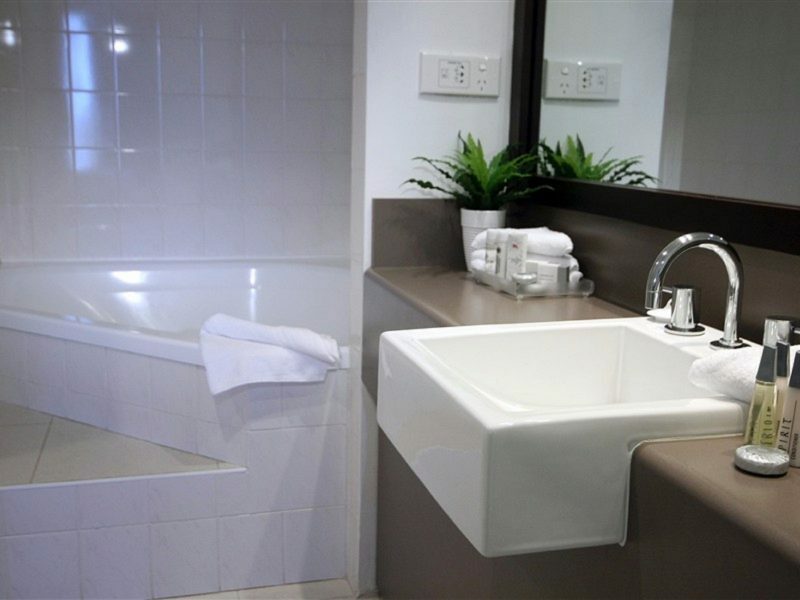 With beautiful modern decor, it features a private en suite, work desk and an LCD television. 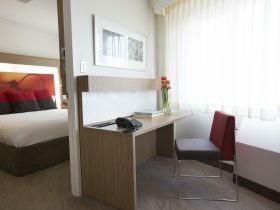 The Privilege Room is the ideal choice for extra comfort. Enjoy standard facilities, plus gourmet tea and coffee, bathrobes, slippers, complimentary internet, chocolates, mineral water, magazines and newspapers. 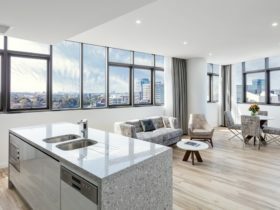 The Studio Suites are superbly appointed rooms providing open plan style of living. They have one queen size bed with combined living area including sofa bed, dining table and lounge area.